Surprisingly, as hard as it was coming up with five good games from the past generation, it was even harder to come up with five bad ones!….With one exception of course and you all know what that one is and yes, it’s #1. In fact, some of the games on this list are actually fairly enjoyable. So I took off the “No spinoffs” rule this time and had to go with more “disappointing” or “blah” than outright “bad”. This does help show that Sonic’s been more on an upswing since the horrible 2002-2006 era, but it also shows were Sonic has fallen back. Remember folks, these are just my personal opinions and yours may vary. Also remember that the previous generation is only Wii, 360, PS3, PSP and DS. Enjoy! As metioned, it is currently unknown who the secret character is. And Backbone entertainment has not elaborated on who the secret character is at the expo. But when we know, you shall know. Also, thanks to Super Mecha Sonic and King Ubu of the SSMB for the tip off. Stay tuned to the Sonic stadium and Sonic news for more information as it is revealed. 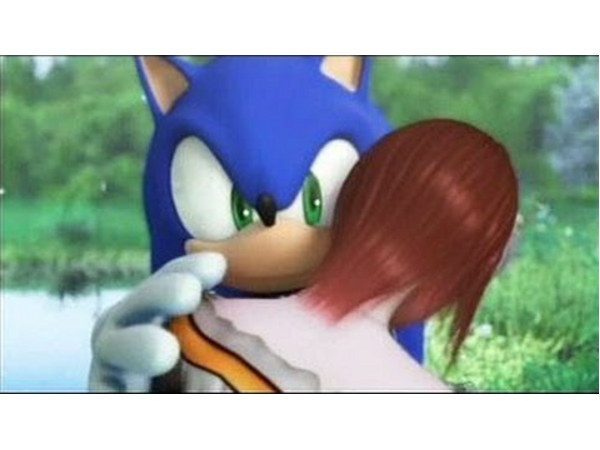 SEGA grows a spine to go with Sonics’ set of balls; Naka gives a Proper introduction, while death brings life to the Sonic franchise. It’s all happening; Sonic News catches up with Sonic developers past and present. Backbone Entertainment (the company behind the upcoming PSP game Sonic Rivals) has finished a reconstruction of their official website which began during the E3 Consumer Electronics Expo (perhaps in anticipation to the attention the event would generate toward the studio). Brought to attention by Gamerguy, webmaster of Sonic World, Wal-Mart has made a mistake in thier pricing for the new upcoming PSP Sonic game, Sonic Rivals! It’s been known that when Wal-Mart makes a mistake in thier pricing, they honor thier mistake and take the loss. A very nice read in store for you. SEGA have revealed some very interesting bits of information concerning the PSP title, Sonic rivals. 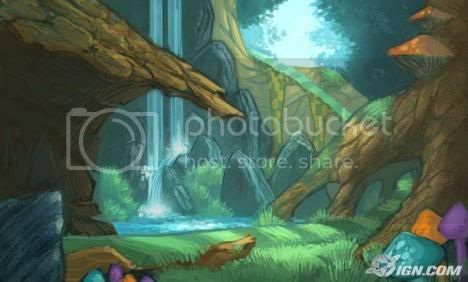 They include some concept art, a insight into the storyline of the game and some fascinating looks into the characters that star in this amazing looking game. 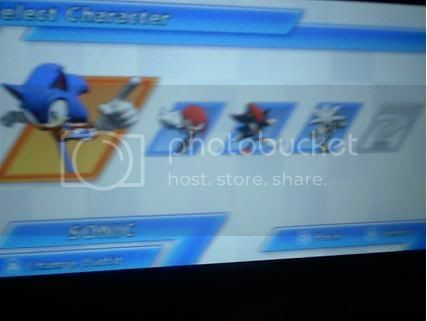 TSS was able to play Sonic Rivals for the PSP at SEGA’s E3 booth. I was handed a PSP by the co-producer (I wish I remembered his name). He informed me that this is an early build of the game, and there were some rough edges in the stage and that’s very understandable. I noticed some bugs, but nothing that I am sure won’t be fixed before it’s released later this year. In this build I could only play as Sonic or Shadow, Knuckles and Silver were not avaliable. I chose Sonic for the test. Sonic Rivals is a 2D racing game with 3D graphics. There was only one stage avaliable, that reminded me alot fo Green Hill Zone, from Sonic 1. The controls were very basic and easy. If I got too close to Shadow and pressed the triangle, I could do a kick attack on him, as well as jump on him, punch him to get him out of the way, and that was definetly a lot of fun. There were stars around the track you could collect that would fill up a gauge. Once full, Sonic can perform a dash movement and run real fast which also was a form of attack, if an opponent was on the way, he’d get hurt. The track was quite long as well, for my surprise, with lots of different paths to take. Definetly a plus. I was told also, that depending on what character you choose, you’ll be able to take different routes, similar to Sonic Riders and Sonic Heroes. Sonic Rivals looks definetly good, and looks beautiful on the slick PSP Screen. Check back with TSS for more information until it’s release later this year.